This low-lying, warm-weather Atlantic island is a well-groomed and bloomed world of pastel houses, poster-pretty beaches, umpteen golf courses and, with red pillar boxes and 4 o'clock teas, an unmistakable stamp of Britishness. Safe, dependable, jacket-and-tie respectable Bermuda makes a perfect spring or autumn getaway. 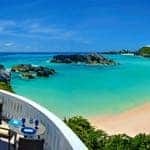 Within minutes of touching down in Bermuda – with its pink sand beaches, lush flora, pastel-coloured houses and stunning blue waters – you can’t help but unwind. 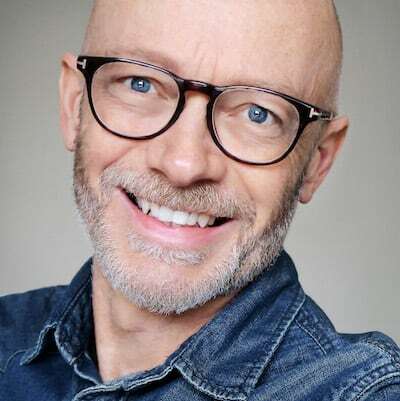 Whether you’re looking for a romantic beachfront hideaway, family fun or just a great value resort, our 26 years of experience and insider-track knowledge means we can help you find the perfect hotel. We have hand-picked the 11 best hotels and resorts on Bermuda. Luxurious Cambridge Beaches is set on its own 30-acre private peninsula; this adults-only hotel is elegant, romantic and boasts superb cuisine plus four private beaches, a spa, water sports and a croquet lawn. Honeymooners especially love the private pool suites. 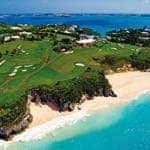 Our top choice for family holidays is the Fairmont Southampton with its own golf course, Explorers Kids Camp and choice of six restaurants. Grotto Bay Resort offers the lowest prices of all our hotels; it’s ideal for families and couples alike with plenty to do for all ages. Known as the ‘Pink Palace’, the Hamilton Princess and Beach Club opened in 1885 and continues to be one of Bermuda’s most beloved icons. It’s located on the waterfront in Hamilton and offers five star service, cuisine and amenities from the fabulous infinity pool and state of the art spa to the spacious guest rooms and popular restaurants. The Rosedon Hotel is a perennial favourite amongst couples seeking something more intimate. A beautifully restored Edwardian mansion, this 39-room property is in a fantastic location, a few minutes walk from the heart of Hamilton. The service is as attentive as it is friendly and there’s a complimentary shuttle service to South Shore Beach. Explore Bermuda by jumping on a public ferry or renting a moped. Highlights include the original capital of St George’s, and St Peter’s, the oldest church in the Western hemisphere. 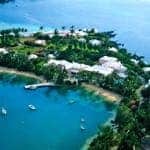 Add to that the Crystal Caves, National Trust homes, the Royal Naval Dockyard, the chance to swim with dolphins and Bermuda’s renowned championship golf courses – if you can tear yourselves away from the beaches. Bermuda is less than seven hours’ non-stop flying time from the UK; it’s also only a short hop from New York. Fly in to the Big Apple and then flop on Bermuda’s beaches (or vice versa) for the perfect two-centre holiday. Find out more about our holidays in Bermuda and the latest special offers.